Artist Name: Tiko Angelos Birth Name: Lyndon Sterling Birth Place and Date: December 19th, St. Vincent Official Bio Tiko, also known as "Tiko Angelos" ("angelos" is the Greek word meaning messenger), was born Lyndon Sterling to Trinidadian parents residing in St Vincent. Shortly after his birth his parents returned to Trinidad and Tobago where he grew up and during his teenage years developed the ability to chant or deejay over beats. 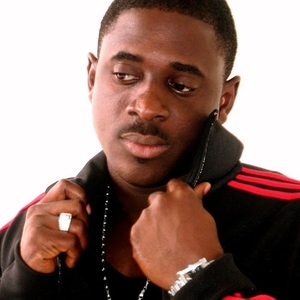 Although he had accepted the Lord Jesus at the age of nine, Tiko recalls his teenage and adolescent years as being spiritually unstable and it was during this period that he experimented with dancehall music and developed the art of rhyming and storytelling by weaving lighthearted comedy and informative rhymes over popular riddims. Many close to him during those years recall his successes in clashes or "lyrics for lyrics" from which he got his name T-K-O (technical knock out... because of the depth of his lyrics) the letter 'I' was later added to this abbreviation to give it pronunciation, and the name TIKO as born. His firm decision to commit all to the Lord Jesus did not come until he was completing his Advanced Level Secondary Education. To many it seemed that this youth known at the time to some as Tiko Devious or Tiko Banton, had turned church boy and disappeared from the music scene altogether. Howbeit, almost six years later through the coaxing of Sherwin Gardner and others, Tiko would explode into the gospel music scene alongside a youth named Denton Peschier aka Gitta (Dan). The initially called themselves The Royal Priesthood but when they were signed to Lion of Zion Entertainment in 2002, they decided to change their name to Tiko and Gitta and title their debut album "Royal Priesthood". "Royal Priesthood" was critically acclaimed as an edifying and refreshing sound in Gospel Reggae. Despite the fact that this partnership only lasted for one album, the duo did extensive ministry work in Trinidad and Tobago and the greater Caribbean. Out of the work done on the "Royal Priesthood" album, Tiko won the Copyright Organization Of Trinidad and Tobago, Songwriter of the Year Award in 2003. This achievement spoke volumes, as it is not likely for persons performing such a genre of music (gospel/dancehall) out of Trinidad and Tobago to gain such recognition. The award also served to cement Tiko's position as probably one of the best songwriters in both secular and gospel industry. In 2003, due to a difference in vision, Tiko and Gitta peacefully parted ways. Tiko had already taken up the position of Youth President of his local assembly, the Arouca Revival Tabernacle under the leadership of Rev. Dr. Raymond and Mrs. Jennifer Boca his pastors. He was at the time also involved in Youth For Christ, Trinidad and Tobago under the leadership of Mr. Frank Porter. The following year 2004 he would undertake a mini tour of London alongside Allan Charles (The Man) and his then label mate the outstanding songstress Vanessa Briggs (Shoulda, Coulda, Woulda) and there he would bless the lives of many with his rhymes and preaching of God's Word. This experience certainly added to the list of persons with whom he shared stage, a list that now includes the likes of Papa San, Stitchie, Prodigal Son, Christafari, Monty G, Mr. Lynx, Poppa Willie, Witness, Gamma, Red Beard, Shiselon, Sherwin Gardner, Jadee and many more. Tiko returned from his ministry in England and enrolled as a student of the West Indies School of Theology (W.I.S.T) where he is now pursuing his Bachelor's in Bible and Theology. Lyndon 'Tiko' Sterling as he is commonly called is now the Youth Minister at his local assembly and a member of the Church Council. In addition he is an executive member of the Pentecostal Assemblies of the West Indies (P.A.W.I), Trinidad and Tobago National Youth Council and heads the area of Missions and Evangelism. He determines to show himself approved as a workman for Jesus Christ. Tiko recognizes that his ministry has long gone beyond rhymes and chatting over riddims. He concedes that there is much more to impart than the three and a half minutes of a song will allow him to, hence the reason he insists that proper teaching and indoctrination must take place after persons have been drawn to Christ through the gospel message heard in the music. It is this belief that has reshaped his ministry to one that combines his use of the dancehall flow, teaching and the preaching of God's Word so that as he says, "men may come to know the riches of the glory of the mystery which is: Christ dwelling in you is the hope of glory (Col 1:27) and that they may grow in relationship with God and so become mature Sons walking in the fullness of the Promise." GR: Tell me, how did your name come about? Any obstacles with it--funny mispronunciations, etc...? Tiko: Well you guys know I was fist called TKO, which stood for "technical knock out." I used to do a lot of song clashes back in the days and knocked out a guy three times in one week--so that's how I got the name. I later inserted an "I" for pronunciation and so was born the name "Tiko." GR: What is the most valuable lesson that you learned from your Mom or Dad growing up that you still apply today? Tiko: Hmm... I learned a lot of lessons from my folks, but I think the most valuable one didn't come through anything they really verbalized--it was they way they lived out their lives holy and in devotion to God. That has stayed with me and it continually challenges me to be holy and totally into my God. GR: What has been the greatest mistake that you have made in ministry and learned from? How have you used this experience to change the way you approach ministry? Tiko: well I won't say it was a mistake it was something God was working on. It was something that bothered the Apostle Peter himself, but my greatest mistakes came thru impulsiveness--me wanting to do things when God was even telling me not too. The greatest mistake any minister could make is to do stuff without the leading of the Holy Spirit. I call it "going without God." Yes He'll be with you in presence but not in agreement, that means He's there and not sanctioning what you His servant are doing. so you're operating outside of the King's will for your life. That makes things easy for the enemy to sabotage. As many as are led by the Spirit of God they are the sons of God. GR: If you could share the stage with any Christian or secular artist in the world (living or dead) who would it be? Tiko: I really don't care to share the stage with any secular artist, let no one take offense at this but I would love to share stage with Cross Movement, G.I.B.R.A.A.N Hydrogen they are rappers. Where dancehall is concerned, I look forward to sharing stage with guys like DJ Nicholas, St Matthew and Deejays like Ryan Mark and Jason Mighty...big up fellaz! GR: I know that you have written a whole heap of songs in the past, but what's your favorite one? Now, if that is too hard for you to answer, then tell me this; if you spent 5 minutes with an avid reggae fan and only had enough time to play them one of your songs, which one would you play them? Tiko: Well... "Big Mouth".... mouth big fi Christ cyar lock it off!!! GR. What is the wickedest riddim that you never rode upon? Tiko: I really wanted to bus' my mouth on the incense riddim built by Tryumf, it happened that I arrived in London too late and they had closed off the disc, well he got me the golden axe riddim ...BIG RIDDIM ! GR: Read any good books lately? Tiko: Does good mean not boring or books that really give you a lot of info? 'Cause I'm reading a lot of boring books that give a lot of info. I'm studying theology you see. However, I read two good ones lately "Ordering Your Private World" by Gordon Mac Donald and "Disciplines of a Godly Man" by R. Kent Hughes. GR: What's your favorite verse in the Bible and why? Tiko: II Corinthians 3:5 "Not that we are sufficient in ourselves to think anything as of ourselves but our sufficiency is of God!!!" GR: What Bible character do you most identify yourself with? GR: What do you have to say about (or to) artists that started off in the Christian industry (CBA) doing gospel music and now sing secular (mainstream) with a watered down, or ambiguous message? Tiko: Well I spoke to one the other day man. It's all about whom you have on the throne of your heart. Is it you or the Lord Jesus. People need to understand what being part of His Kingdom is about. This trend is sad man. People are using the gospel message to promote themselves and then they eventually throw the same message that they preached behind their back's refusing to mention Christ, refusing to magnify him, in light of a secular career of some fame, all which fades as the grass and the flowers. Therefore, man if you are reading this and such is the case with you, then I know that you know that you have again betrayed Christ maybe for much more than 30 pieces of silver but what will the silver, US Dollars, Pounds or Euros be worth in an eternity when only what we did for God will count? We love and are praying for you and as Jadee said, "Come out a that... Come (back) in a this !!" GR: As Christians, God is of course our true inspiration, but beyond the generic response of "Jesus," what are your muses in your life (for lack of a better word)? For example, what are the people, places, or things that trigger a fresh musical idea and ultimately a new song for you? Tiko: Well I can almost use any conversation to show a way to God, but to answer you man... life is what bring vibe and musical ideas just looking at life and looking at people I get rhymes man. GR: Name one thing that fans do not know about you. Tiko: Well they don't know that I had a lisp or what we call "tight tongue." That's when a person has to put their tongue between their teeth to articulate the song for the letter S. I had it bad! Girls used to laugh at me all the time so at the age of 10, I sat down in front a mirror and did my own speech therapy. You got to hold back the tongue from getting between the front biters man! Well it must have been successful cause now through nuff practice I think my articulation is perfect. Hey it must be good cause I speak Spanish as well. LOL stop laughing at me. GR: If you could whisper in the ears of youths aspiring to start a music ministry like yours, what would you say? Tiko: I would ask them if they are doing this for God of for themselves and let them figure out the rest. GR: Why do you do music? What is your primary goal? Tiko: To draw men closer to Christ. GR: Could you please give a message to the reggae fans that are reading this and would like to know more about your faith and who Jesus is to you? Tiko: Jesus the Lord, Yeshua Adonai, is my Savior I am really captivated by the fact that God became flesh and walked the earth all in an effort to bring me back unto Him. I am challenged by His passion for me, the passion that drove Him to the cross. I rejoice in that His mission was a success and was completed in His resurrection from death. I totally believe what the Bible says about who Jesus is. I see no need to demythologize anything written because I believe in a Holy all powerful God revealed through Jesus, who is able to do exceedingly abundantly above all we may ask or think. This powerful God is concerned with every area of our lives. That's how personal it gets with God and it goes beyond that. I have the King of the universe enquiring after me. Ain't no life lie the Christian life man !! !